Natural 0% fat. Naturally sourced ingredients. Rich in protein. Suitable for vegetarians. Liberté Greek Style Yogurt is perfect for breakfast, as a snack or for dessert! 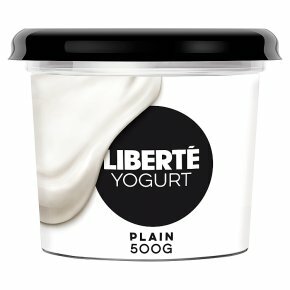 Liberté Yogurt is a 0% Fat greek style yogurt perfect to have with granola and fruits for breakfast Liberté Greek Style yogurt is naturally rich in protein. Why not try our strawberry, raspberry, mango or blueberry flavours?